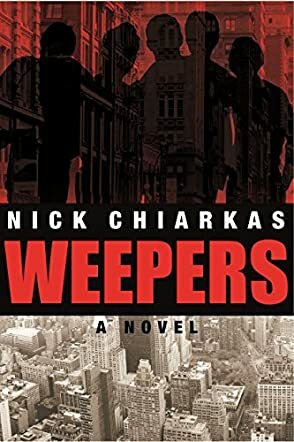 Weepers by Nick Chiarkas is a murder mystery set in the 1950s. In 1951, Christmas Eve, a man disappeared while walking through the Projects with Angelo, his son. In 1957, an undercover police officer was killed in a housing project in New York. At 2.00 a.m., on the way to setting fire to a grocery store, Angelo saw the cop killing and he was seen by the killers. As events unfold, Angelo forms a gang called Weepers and comes up against the mafia, police corruption and organized crime, not to mention the church. Unions are forged, battles are fought but will justice prevail? And whose justice will it be? Weepers by Nick Chiarkas is a fantastic first novel. This is gritty, emotional and powerful all the way from start to finish. It’s a novel filled with action, with twists and turns all the way through, designed to throw you off the scent but leading you neatly to a great conclusion. Nick Chiarkas has nailed the era perfectly and you can almost see the story being played out in a gritty noir style. Not only that, the descriptive, compelling style of the writing draws you in and brings the story to life, taking us through Angelo’s life as he grows up. We come to understand the kind of life led by those on the Lower East Side in Manhattan in the 1950s. He creates an atmosphere of tension and courage, love and hostility, and brings out every emotion you can possibly think of. There is some violence but nothing that doesn’t fit in with the story. The characters are wonderfully developed to the stage where they relatable, likable and we can empathize with their situations. A great first novel, and I'm really looking forward to the next one.